Are Trusts a Good Way to Overcome Medicaid Income Limits? Many people will prepare a comprehensive estate plan as well as essential medical documents, but overlook the importance of preparing for the possibility of long-term nursing home care. The average daily cost for nursing home care in Florida is now $293.33, or approximately $8,800 per month. The Medicaid Institutional Care Program (ICP) can be a source to provide financial assistance to pay this expense, but there are income and asset limits that have to be met to qualify for this program. Many people believe erroneously believe that simply putting their assets into a trust is means to accomplish this. While trusts may be a good estate planning option, they do not necessarily work for every purpose. Picking the right trust is vital to getting the income or asset reduction needed to qualify for Medicaid. An overview of the common types of trusts that do not work for Medicaid purposes, and several that do, will follow below. Revocable or living trusts are fairly well-known and promoted as a good tool for managing assets. Their popularity lies in the fact that the trust assets can be used to distribute property after death without the need for probate. The creator will still have full use of the funds and the power to modify or even revoke the trust while alive. However, because the assets never really leave the control of the creator, the federal government treats the property in the trust as if it was still individually owned. Accordingly, such a trust provides no benefit in qualifying for Medicaid. Irrevocable trusts can work to remove assets as countable for Medicaid, if structured properly, but still presents problems. First, the transfer of assets into such a trust within a five year period before applying for Medicaid will disqualify the individual from Medicaid eligibility for some period of time. Second, if the creator of the Trust is entitled to receive any benefits from the trust, then the assets in the trust may still be considered a countable resource. Assets transferred to a pooled trust will not be counted or be subject to transfer penalties. These trusts are run by a non-profit organization, and each individual in the pooled trust has a separate account that can be used to pay for any expenses not covered by Medicaid or Social Security. 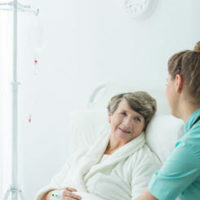 However, any State that paid for or provided any benefits received by an individual has right to place a lien against any funds remaining in the account after death, though the lien is substantially less than what the individual would have paid out-of-pocket for nursing home care. Income trusts are used when an individual’s income is more than the maximum allowable amount under the state Medicaid program, rendering the individual ineligible for medicaid. The excess income can be transferred to the income trust, and the amount transferred is then not counted in determining eligibility for Medicaid. The income transferred to the trust is still utilized to pay part of the patient’s cost of care. The applicant will be allowed to retain a small amount of their monthly income and some income may be diverted to a spouse if the spouse’s income is below the Medicaid spousal allowance ($2,030 at present). The State will be entitled to reimbursement of any funds remaining in the trust after death. Paying for nursing home care is no small thing, but advance planning can make the transition much smoother for you and your family. The law office of William Rambaum, P.A. focuses on elder law issues, and understands how Medicaid affects aging seniors. He is ready to help guide you through the complicated Medicaid qualification and application rules, and set up any associated estate planning documents. If you live in the Clearwater or Oldsmar areas, call the office today to schedule an appointment.